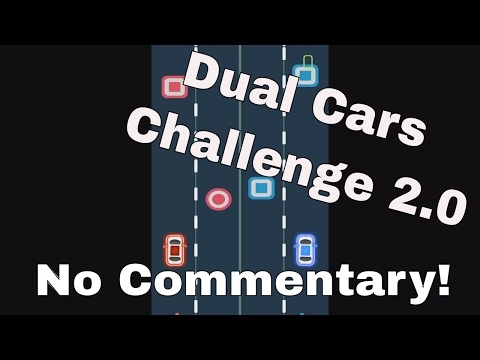 Dual Cars Challenge 2.0 is really outstanding, fun, creative game that will make you become addicted to maneuvering, avoiding, and dodging skills. Control the red car and the blue car at the same time. Collect all the circles and avoid the squares on the road. The all around simple goal is to try to avoid your HITTING the squares at rapid speeds. -Improve swiping, and dodging skills. -Cool music and and cool graphics. • Press either the left or right side of the screen in order to not hit the cars together. • Collect as many circles as possible for the top score.